Traversing the bushveld is what typifies most safaris in South Africa. Combinations of land- and water-based safari activities are rarer, and offer greater variety of scenery and a greater array of wildlife sightings. 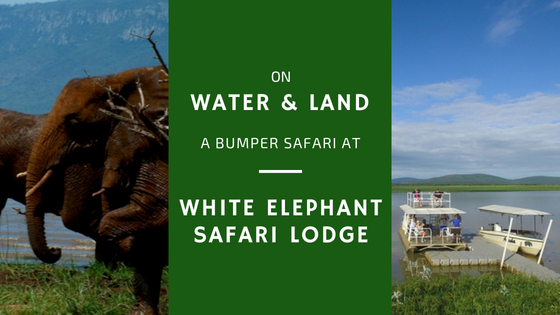 One such land- and water-based safari experience is at White Elephant Safari Lodge in Pongola, KwaZulu-Natal, where guests are treated to a tremendously exciting variety of activities that take place both on land and on the water. 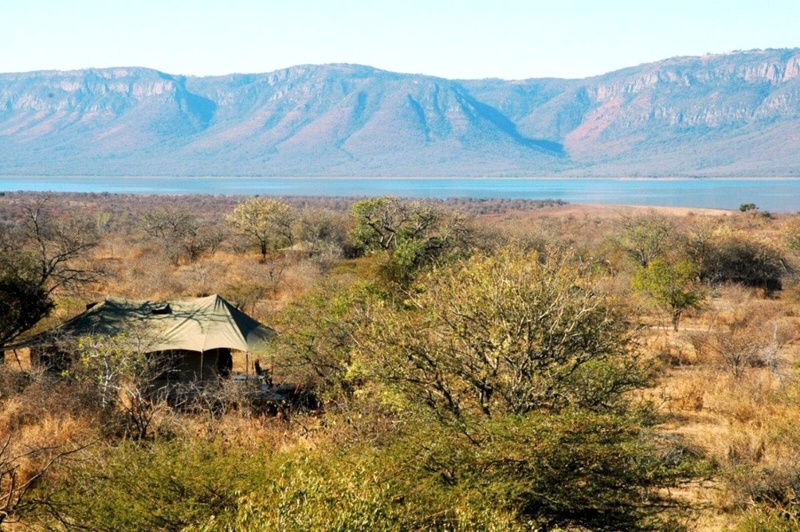 It is thanks to White Elephant Safari Lodge‘s setting in a rugged wilderness on the banks of beautiful lake Jozini in Pongola that this lodge can offer a most fabulous combination of land- and water-based safari activities. The ancient Lebombo Mountains create a stunning backdrop to this beautiful setting. Luxurious tented accommodation is surrounded by bushveld, with private verandahs and outdoor showers that maximize enjoyment of the surroundings. Guests get more than just a taste of the rugged bushveld from their luxury tents at White Elephant Safari Lodge. Mirrored Lake Jozini is in the background. On Lake Jozini you could be forgiven for thinking you’re on Zimbabwe’s Lake Kariba! 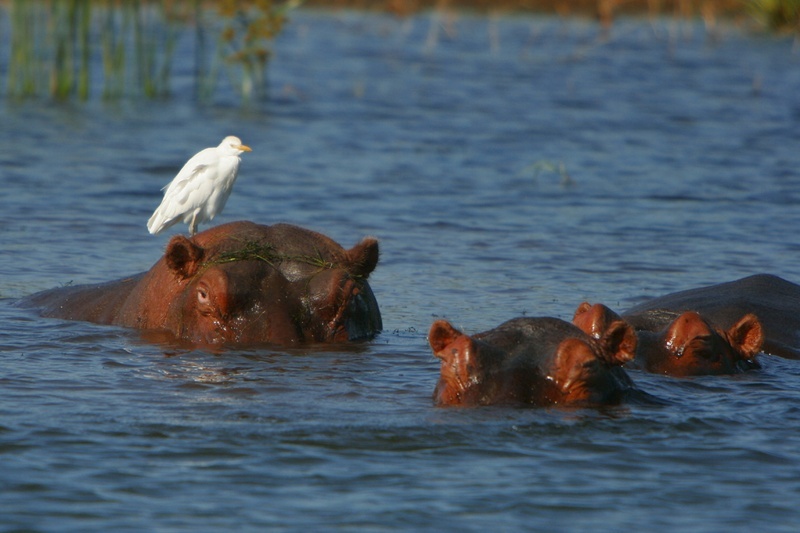 Boat cruises at White Elephant Safari Lodge reveal herds of antelope on the land, and hippo, crocodile and a great variety of birds on the water. Elephant bath time at Lake Jozini is a very special sighting, sometimes seen from the boat. 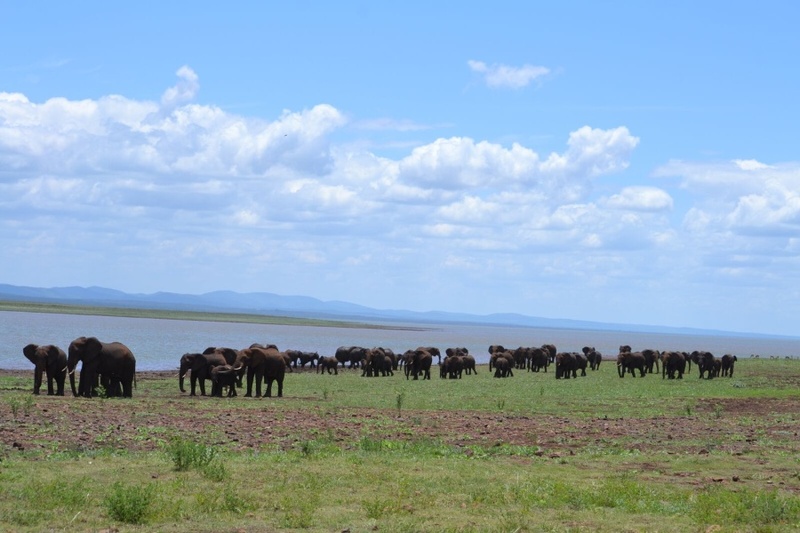 Boat cruises at White Elephant are about 3 hours in duration. 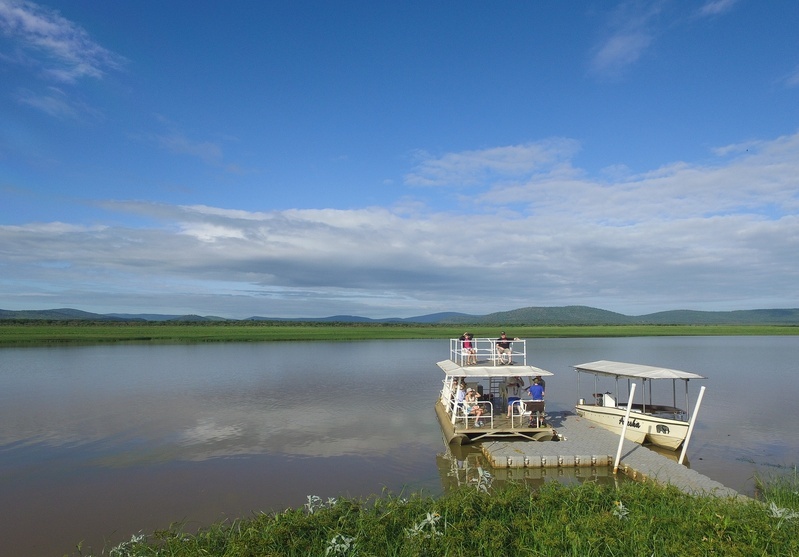 Boat cruises at White Elephant Safari Lodge reveal plenty of wildlife, on the shores and in the water. This is your chance to see hippo and crocodile! Canoeing is also an option on Lake Jozini. Canoe trips at White Elephant are tailored to suit the fitness levels of guests, and are available to guests from 12 years of age. Lake Jozini is a great spot for tiger fishing, on a catch and release basis. September to April is the best time of year for this. 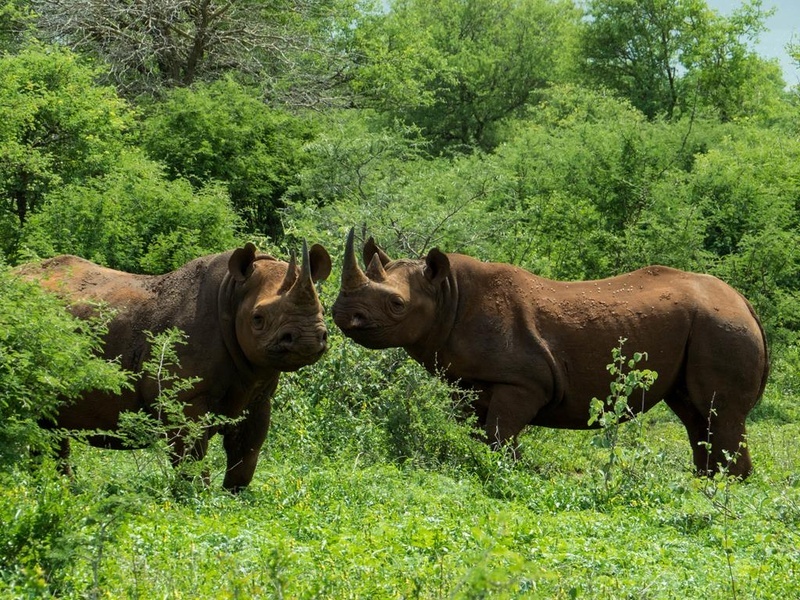 Rhino tracking is one of the exciting land-based safari activities available at White Elephant Safari Lodge. 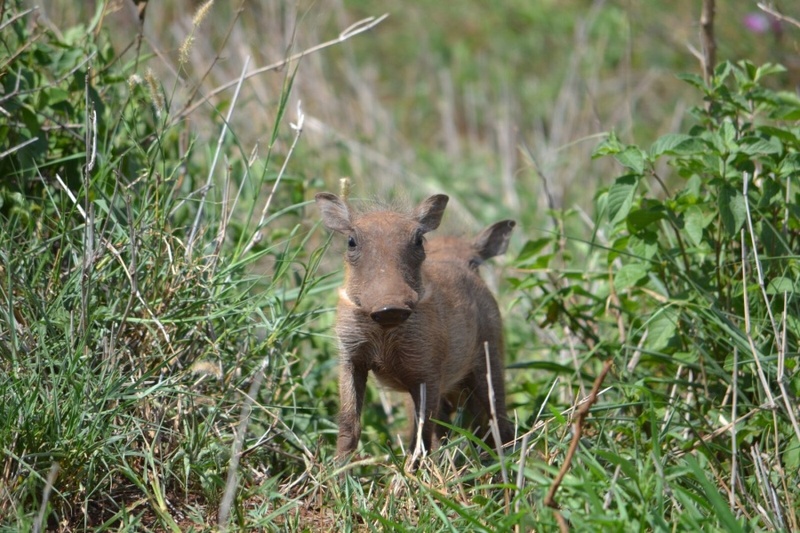 These conservation excursions last about 3 hours and are available to guests aged 16+. The activity entails looking for tracks and dung middens and examining camera locations. ‘Elephanting’ excursions are educational activities under the guidance of an elephant researcher. The activities includes the viewing of a documentary on elephant relocation, discussions, and viewing of elephant remains in the museum. Game drives in 4×4 safari vehicles take place in the early morning and late afternoon / evening and are about 3 hours in duration. Bush walks are wonderful opportunities to see the minutiae of the wilderness, and also to have a more sensory experience of the bush. These are tailored to suit the particular guests. Participants need to be 16+. 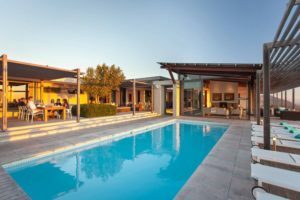 White Elephant Safari Lodge is running a honeymoon special during 2018: Book 3 or more nights and one member of the couple gets 50% off the rate. 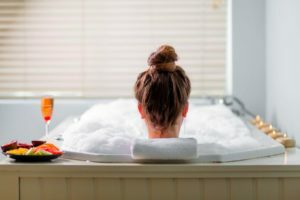 Subject to availability and valid for 6 months after marriage date, until 31 December 2018. Mail us to book, or call +27 21 797-7122 to speak to a consultant.